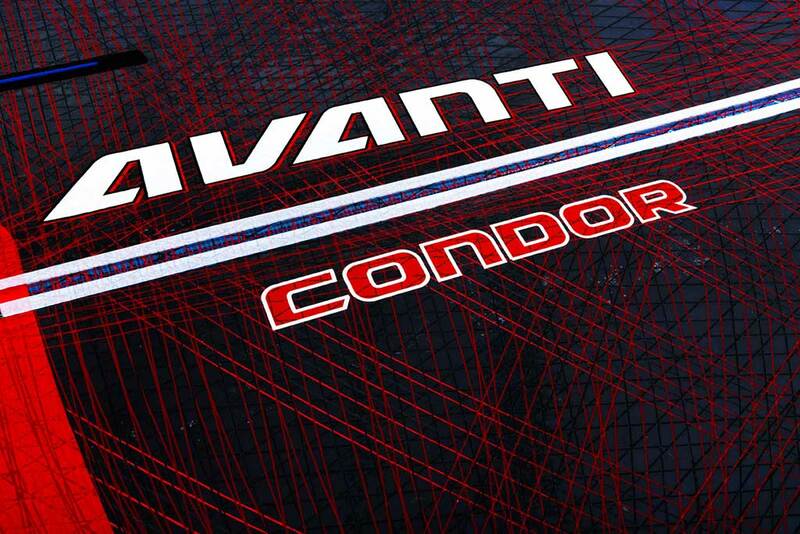 The 2017 Condor has a freerace heritage derived directly from the Machine M-3 and M-4 development. 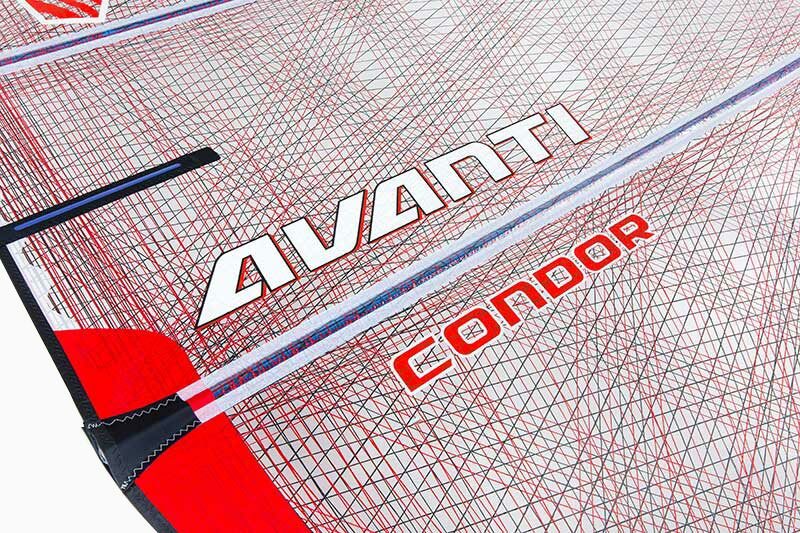 Much like a luxury sports car allows an amateur driver to taste a full grand-prix experience, the Condor unlocks premium sailing performance with it’s mid-sized luff sleeve, three cam backbone, and ultralight Avanti membrane. 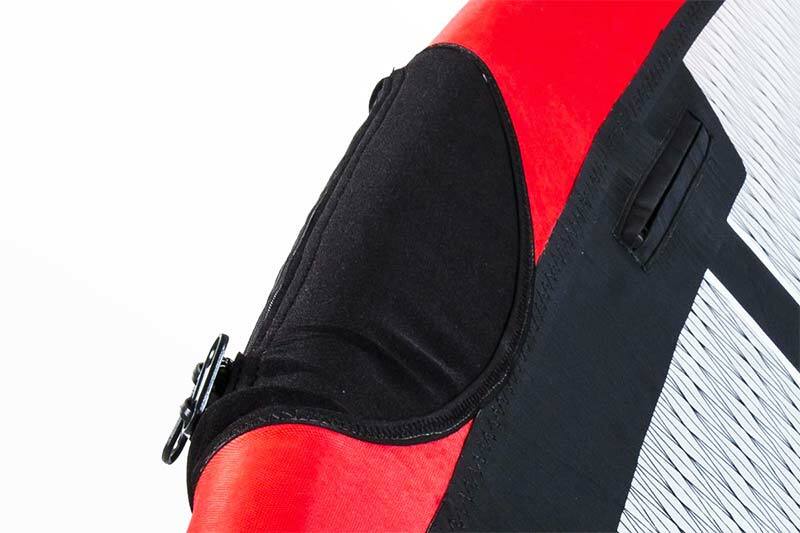 It’s low stretch skin offers unmatched stability at a significant weight advantage over the competition. 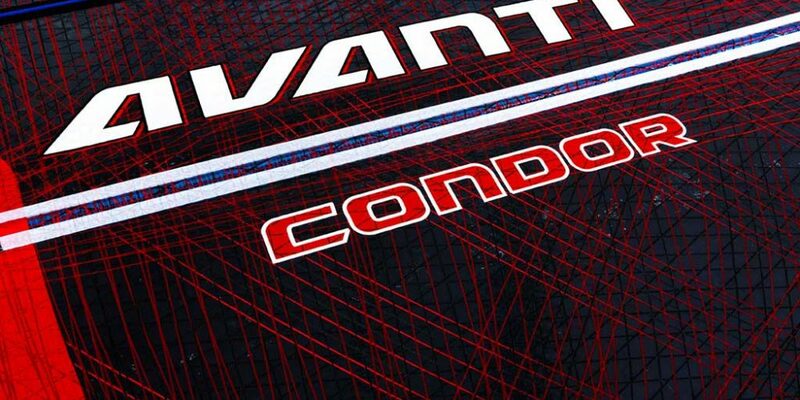 PRO Membrane Matrix, our lightest, competition oriented ‘layup’ also utilizing a tight fiber density for maximum stability and rip-stop properties. 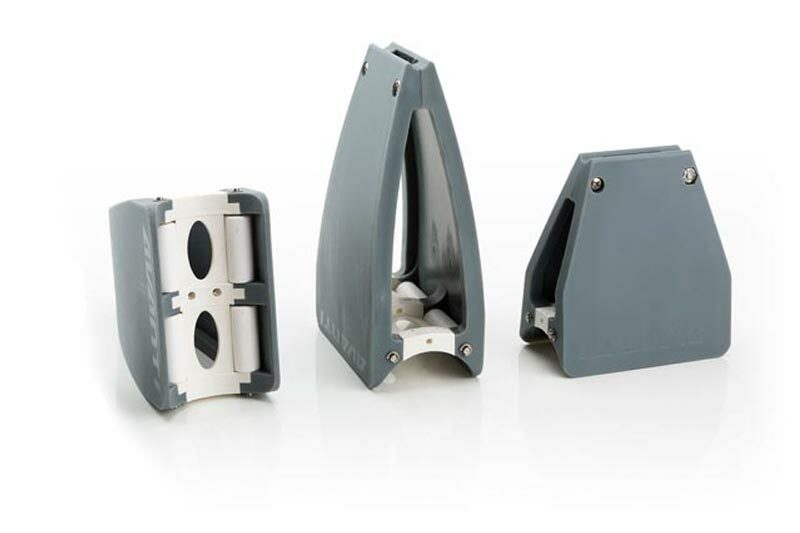 MTS II – ‘Modal Trim System’ increases the usable range and performance by using two horizontally oriented in line clew grommets. 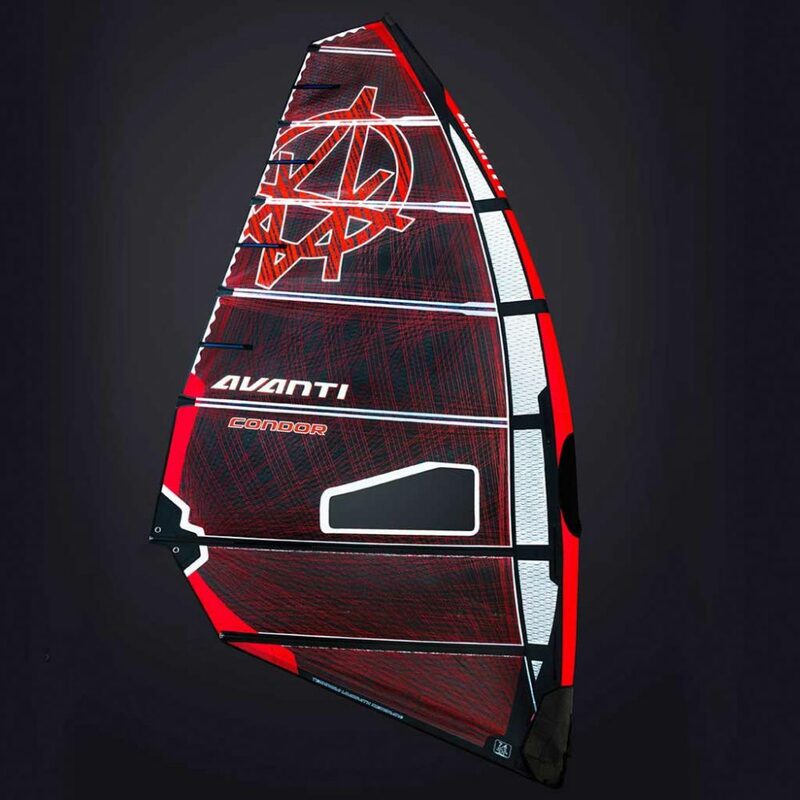 – Ultra lightweight. 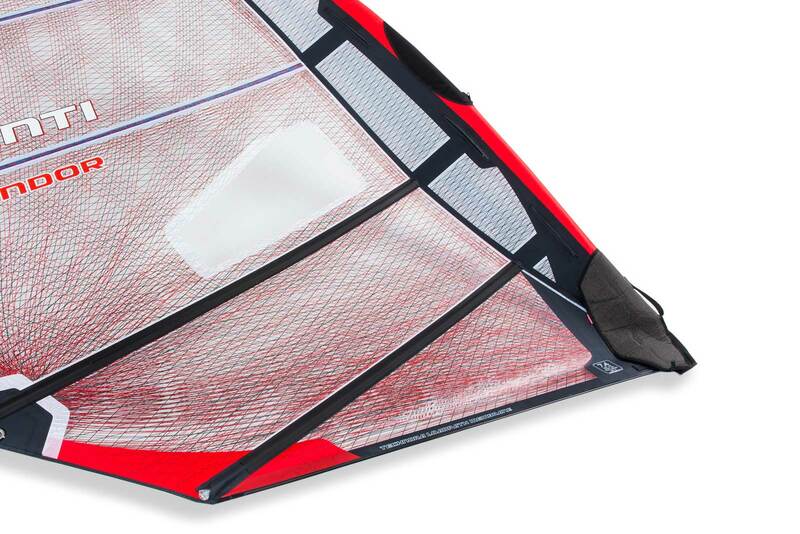 Feather Weight Construction puts this sail’s weight 15-20% under industry standard. – Updated Fiber Map. HotSpot clew to luff trajectories keep shape locked low and forward. – Neoprene Boom Opening. 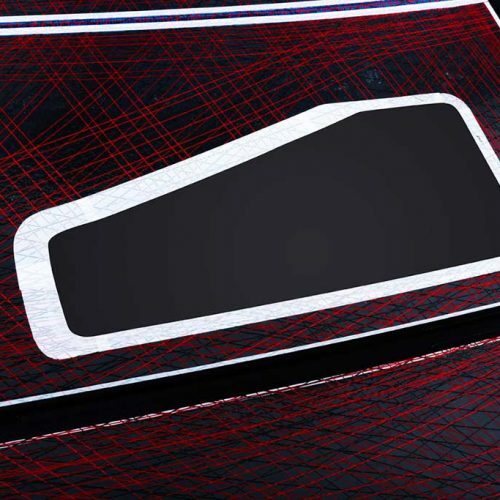 A seamless sock center provides the perfect aerodynamic entry. Extra-thin and stretchy, with a floating access zipper for easy rigging. – Rainbow Batten Trajectories. 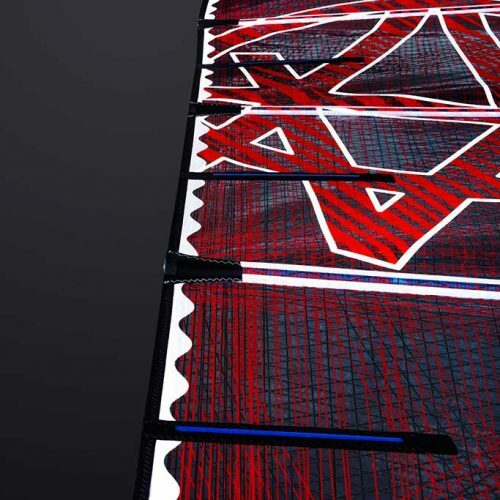 Rainbow Batten Trajectories minimize pocket stretch and ensure rigged symmetry. – Carbon Tube Battens. 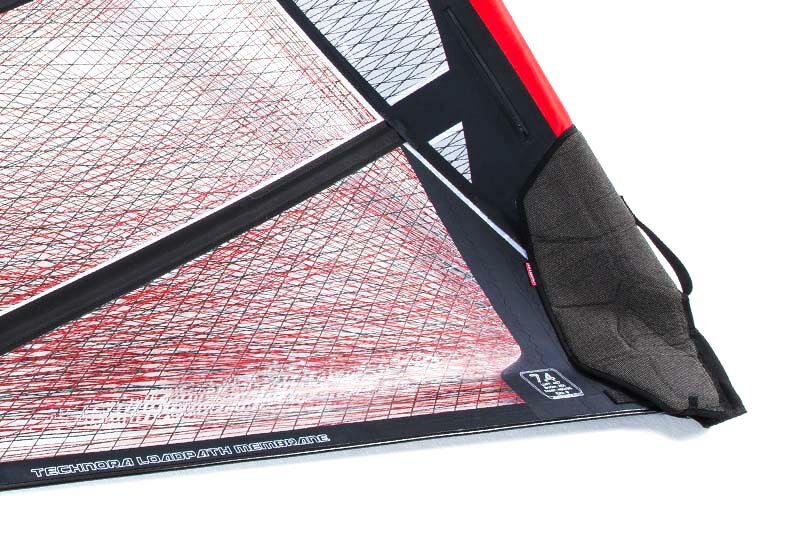 Genuine carbon tube battens in key areas provide a rock-solid skeleton. 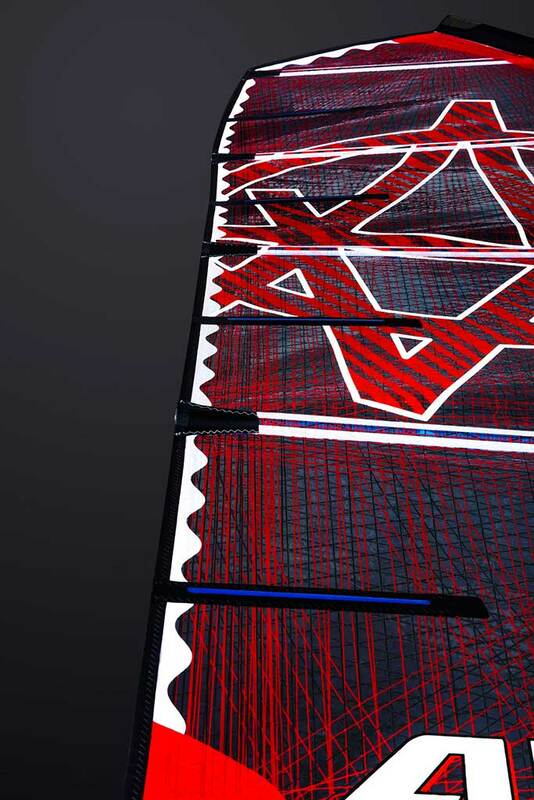 Graduated batten layout tailored to sail sizing. – Anti-Abrasion. 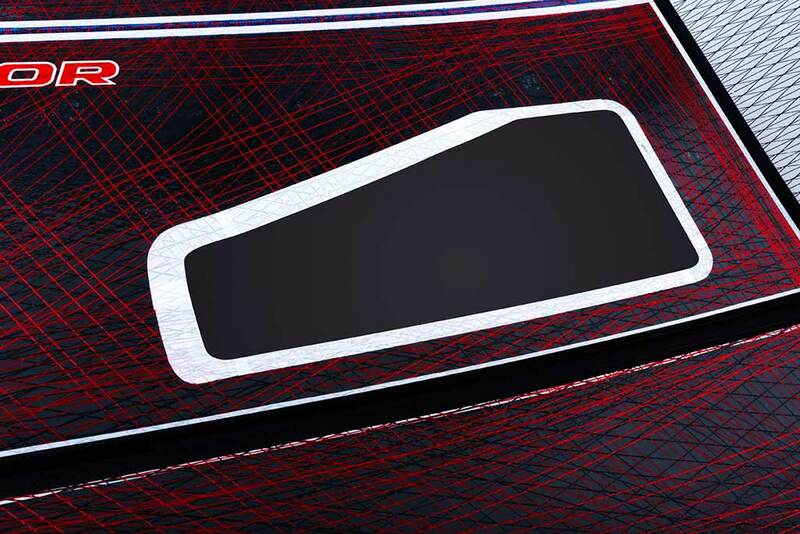 Anti-Abrasion Silicon Bumpers prevent unnecessary wear. 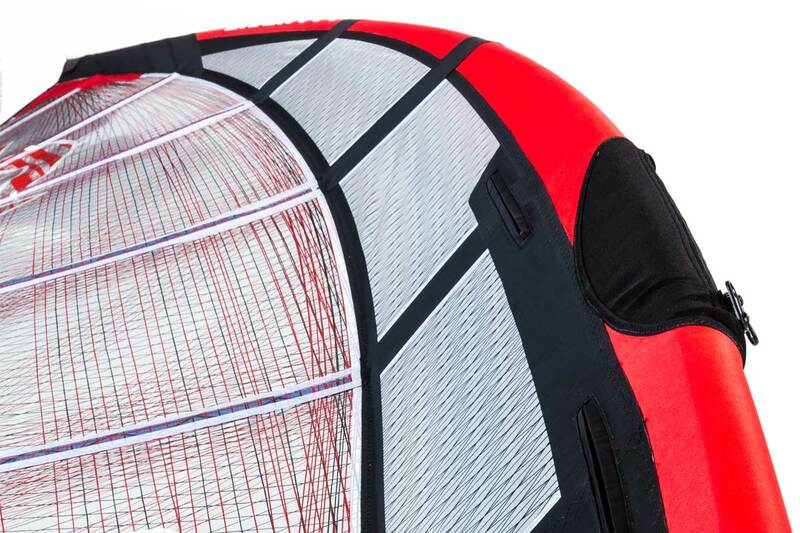 MicroLight Batten Tensioners provide balanced skin tension. – Nylatron Tack Pulley. Super lightweight ‘Nylatron’ tack pulley wheels save weight and allow easy downhauling. – ARC Cams. Add stability and promote smooth rotation coming out of tacks and gybes. 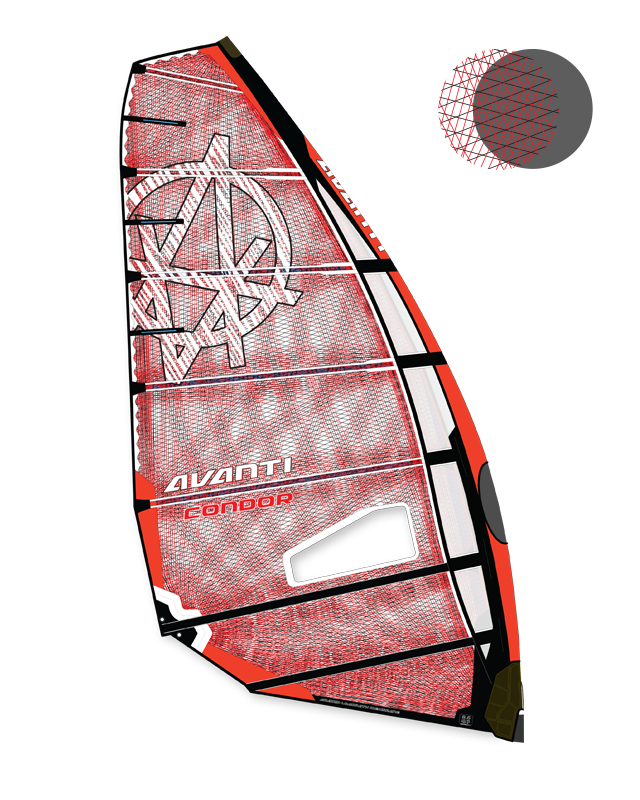 Kevlar reinforced head and tack fairings for maximum durability against abrasion.